If it’s time to replace the existing gutter system on your home in the Franklin, Indiana, area, the team at 31-W Insulation is only one phone call away. For more than 40 years we’ve been providing reliable and efficient home improvement services to residents of the Southeast, the Midwest, and beyond, and one service that we specialize in is the installation of gutter systems. 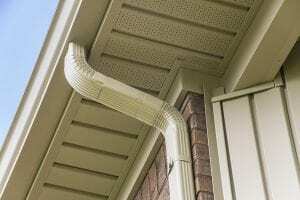 Often taken for granted, gutters are actually a very important component of a home’s roofing system. Their main purpose is to collect rainwater and channel it away from the home to prevent the ground around the foundation from becoming saturated. When gutter systems fail to work properly—due to clogs, kinks, or leaks—rainwater can back up within them and spill over, damaging your home’s fascia, foundation, or even flooding your basement. Moreover, when rainwater backs up in your gutter system during winter months, it often creates ice dams which can wreak havoc on your roof. It’s never too early to make sure your home is protected. To schedule a free consultation at your Franklin-area home, or to speak with a representative about our gutter systems, contact 31-W today.